Business Strategy in Regenerative Medicine panel discussion. Practice advancements, scientific discoveries, product development and access to care were just a few of the topics featured at the 2018 Mayo Clinic Symposium on Regenerative Medicine and Surgery, held earlier this month in Scottsdale, Ariz.
Over 200 providers, scientists, educators, students, entrepreneurs and patient advocates were in attendance to share knowledge and discuss how science driven advancements in regenerative medicine are increasingly embedded in daily practice and what this means for the future of the field. While discoveries and practice advances are being made in bringing regenerative medicine breakthroughs to clinical trials and practice applications, experts are now looking at the future of the regenerative practice and what that means for patient care. 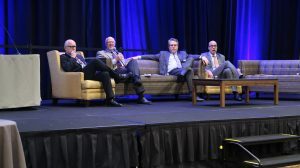 Throughout the symposium, Mayo Clinic experts in regenerative medicine highlighted clinical trial breakthroughs and advancements in therapeutic interventions that address diseases and conditions such as cancer, Alzheimer’s disease, spinal-cord injuries and diabetes. 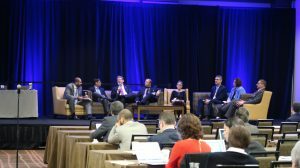 Updates on product development and manufacturing, CAR-T cell therapy, and the first patients treated at the Florida Regenerative Medicine Therapeutic Suites were also presented. 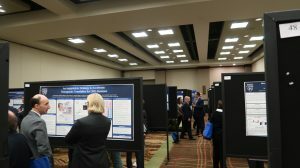 Over 50 posters in clinical application, regenerative education, and translational science showcasing the next discoveries and innovations in regenerative medicine were presented at the symposium. 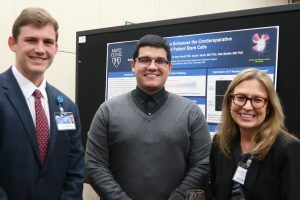 Tyler Rolland, Sinibaldo Romero, and Karen Hedin, Ph.D. Symposium on Regenerative Medicine and Surgery poster session. Product Development and Manufacturing panel discussion.